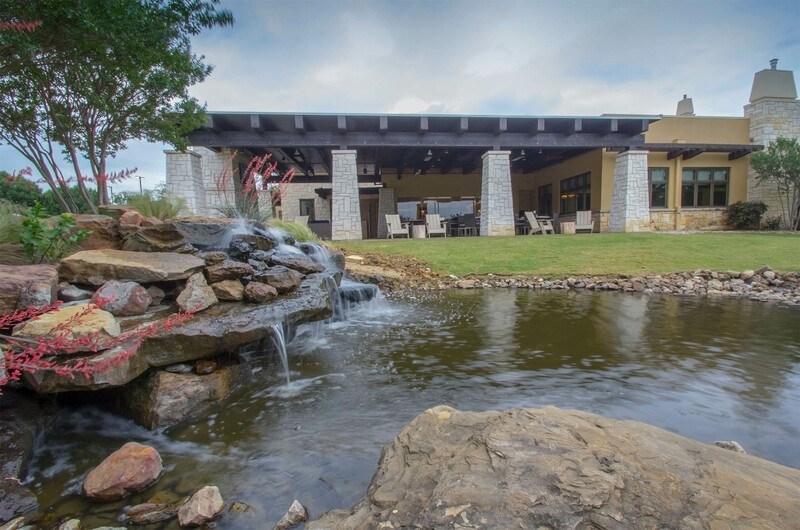 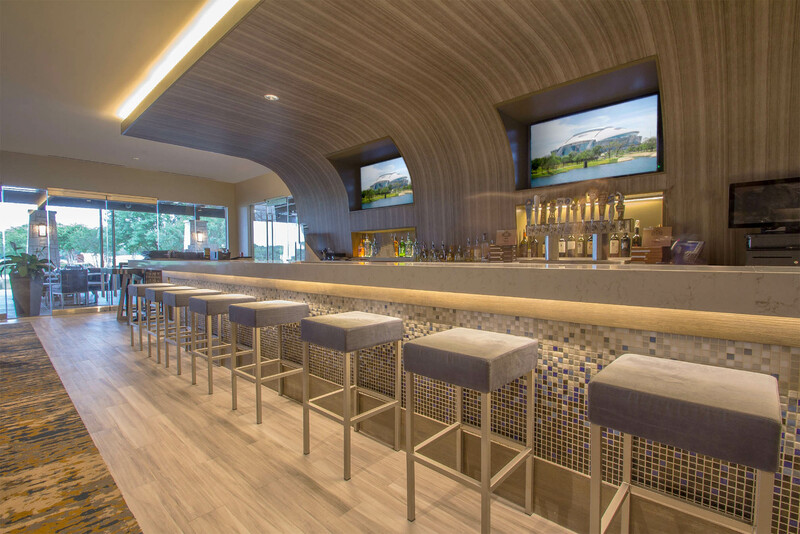 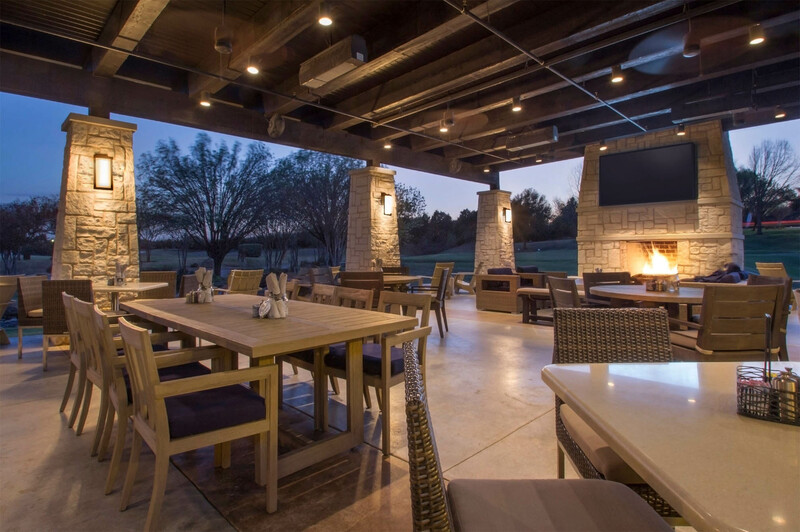 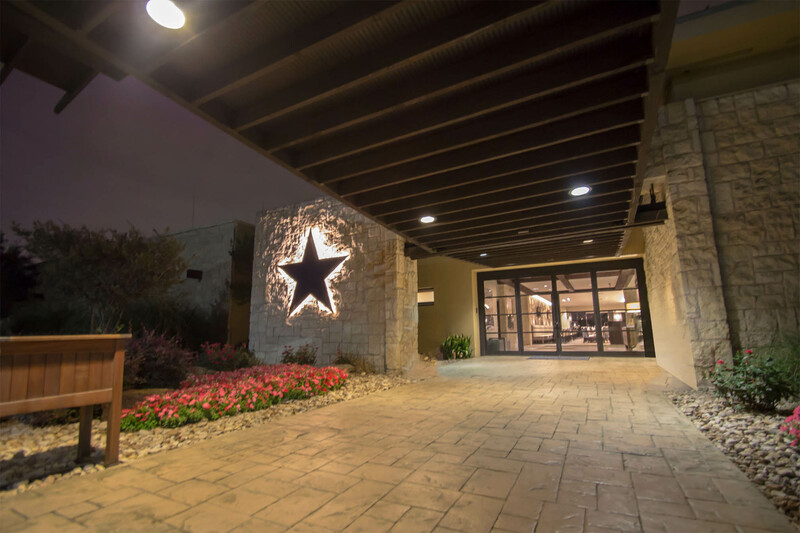 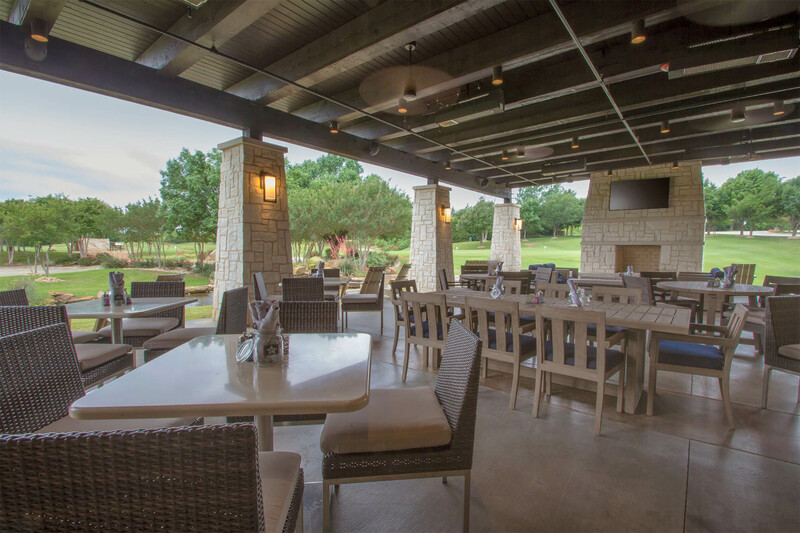 Cowboys Golf Club underwent a major renovation to its main clubhouse, including the entryway, pro shop, ballrooms, bar/grill, and outdoor patio. 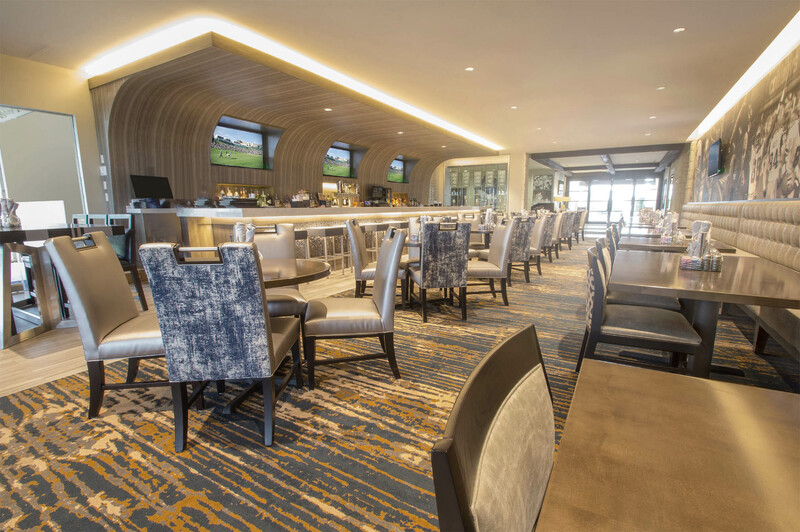 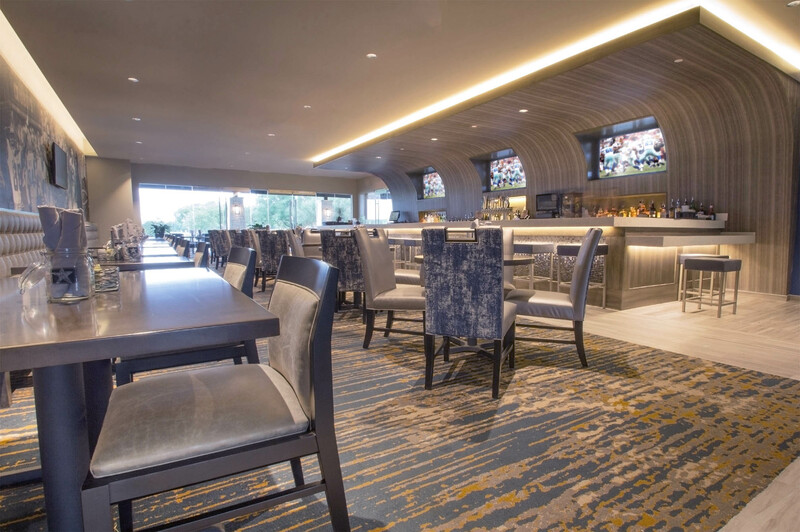 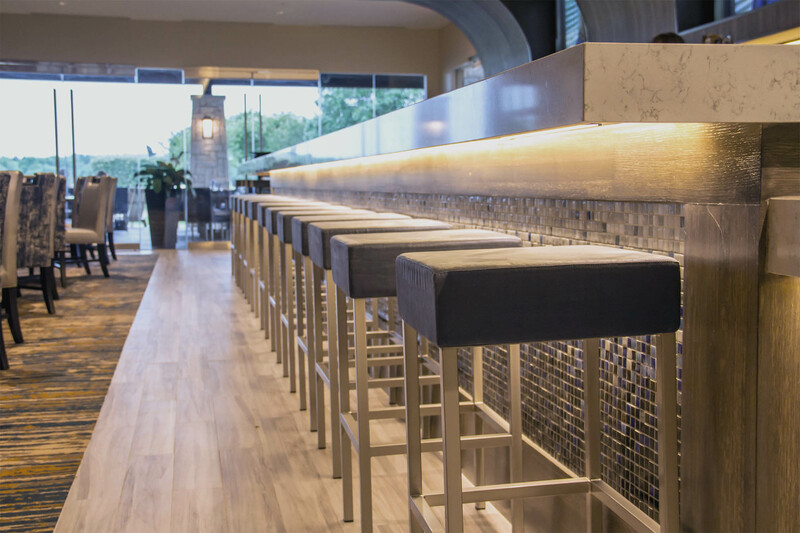 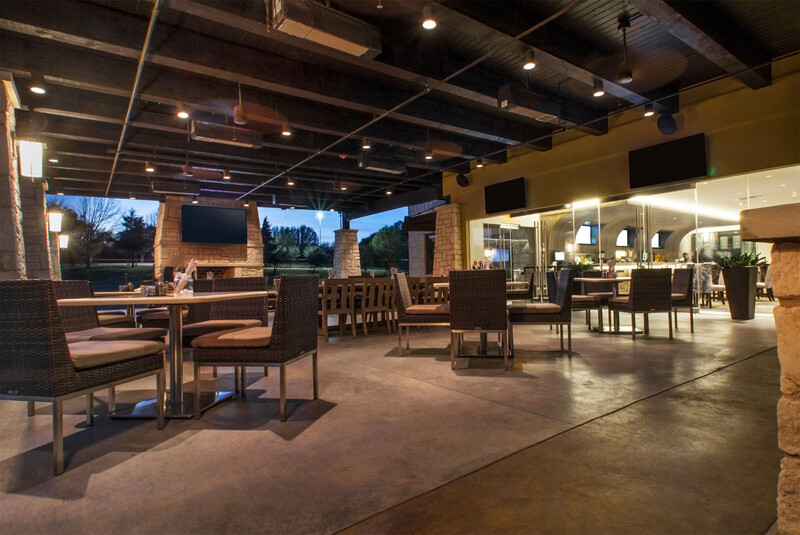 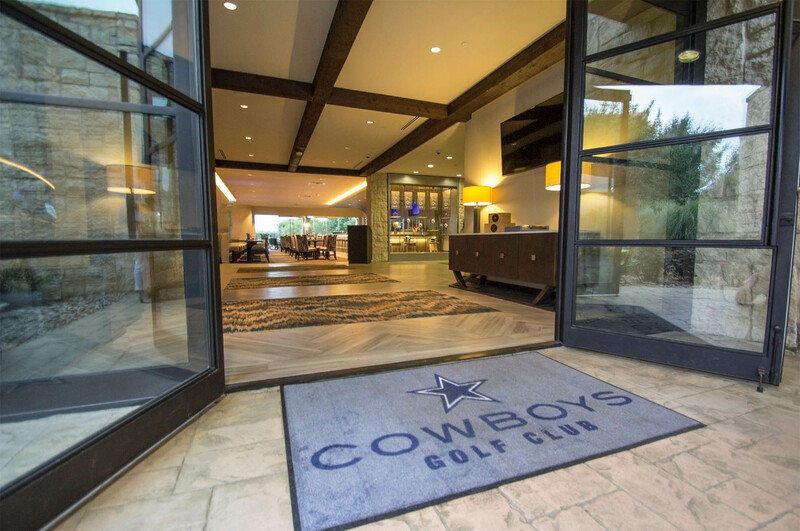 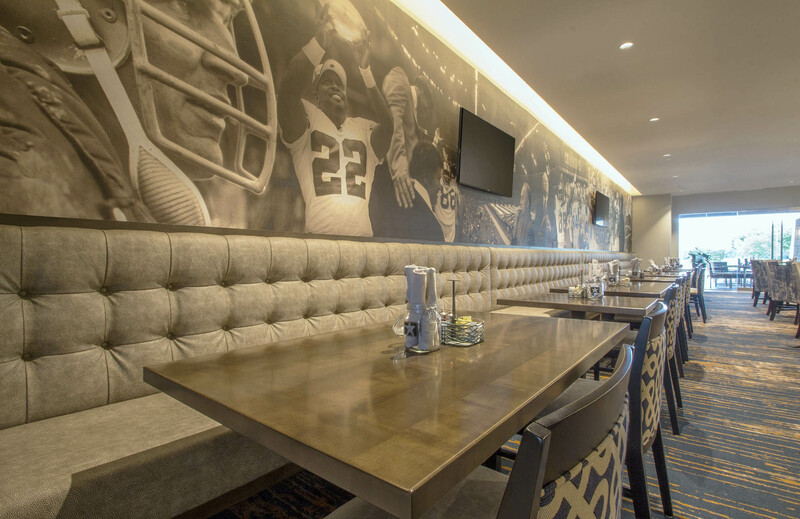 Being the only golf club in North Texas with licensing rights from the Dallas Cowboys, this space deserved a fresh new look that celebrated this storied NFL franchise that attracts avid golfers and Cowboys superfans alike. 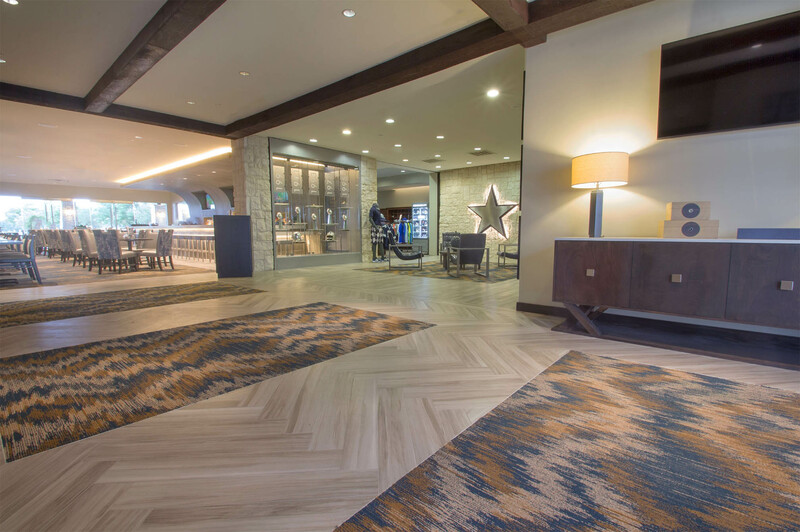 The result is one of the most stunning client transformations in our company’s history. 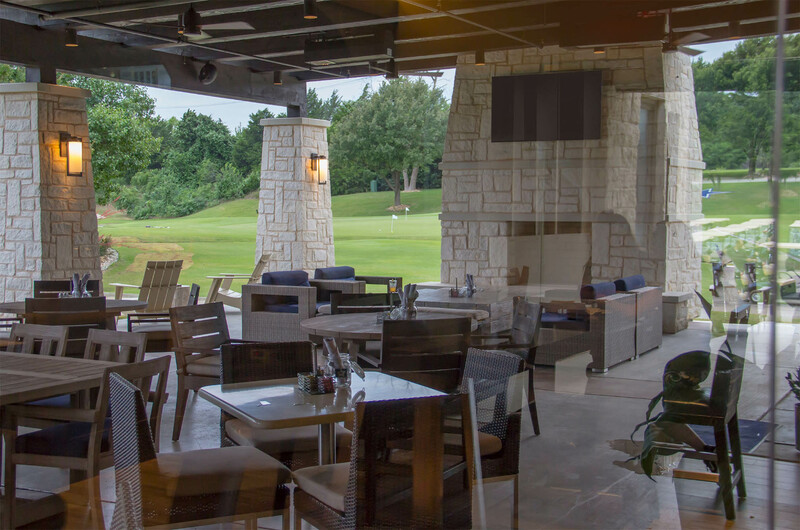 A direct line of sight through the entry and bar+grill to the brand new outdoor patio. 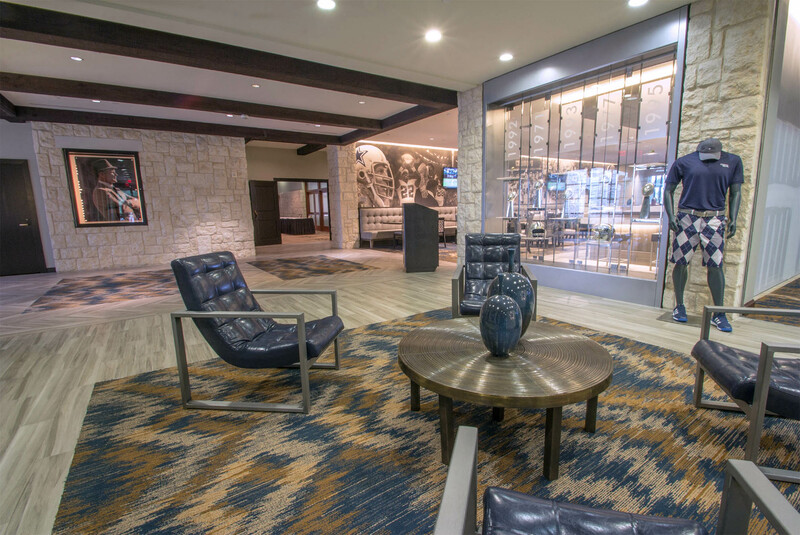 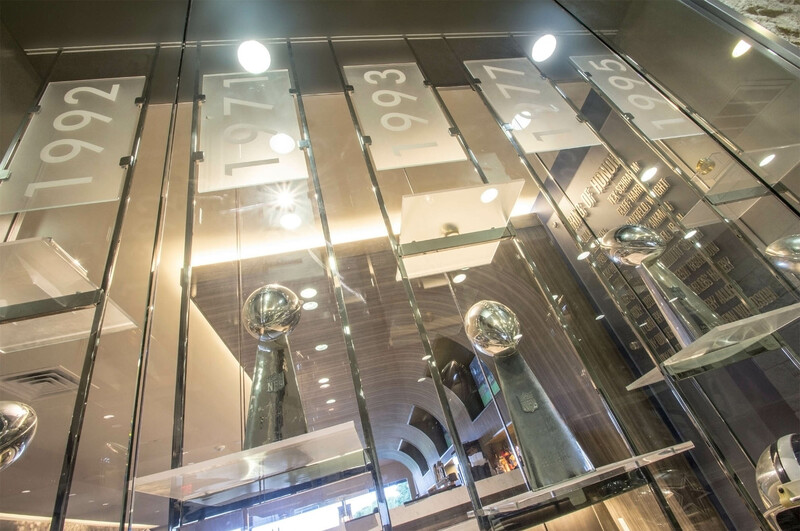 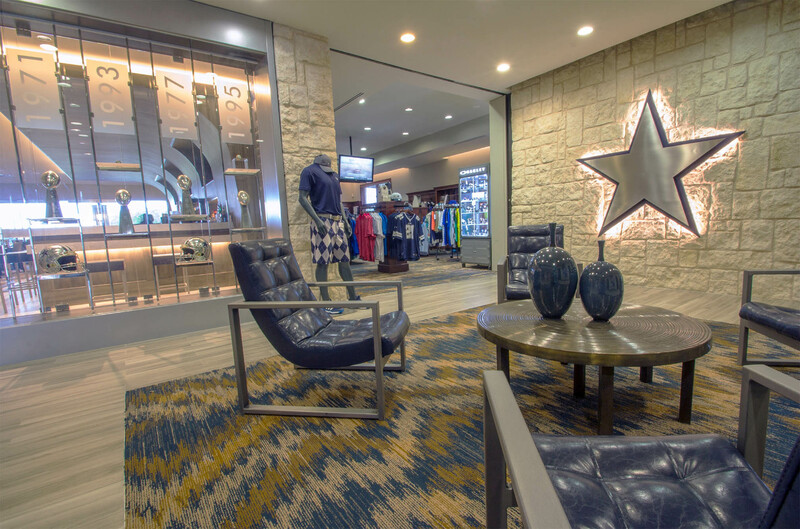 A seating area interrupts the space between the Pro Shop, entry, and trophy case – featuring life-size replicas of the five Vince Lombardi trophies the Cowboys won between 1971 and 1995 seasons. 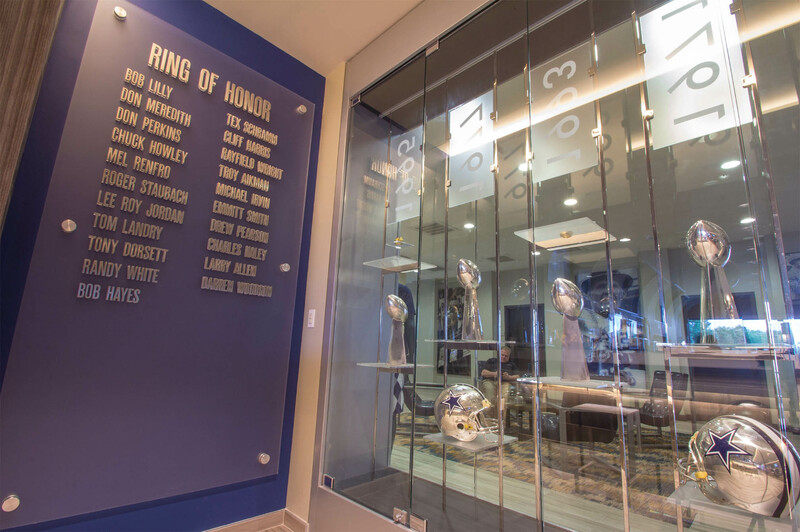 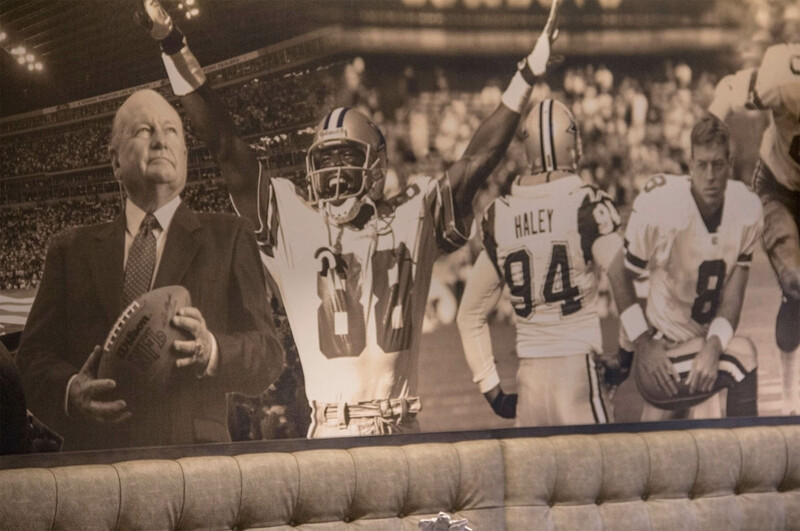 The reverse side of the trophy case features the Cowboys Ring of Honor – also the namesake of the bar and grill within this new renovation for guests to use. 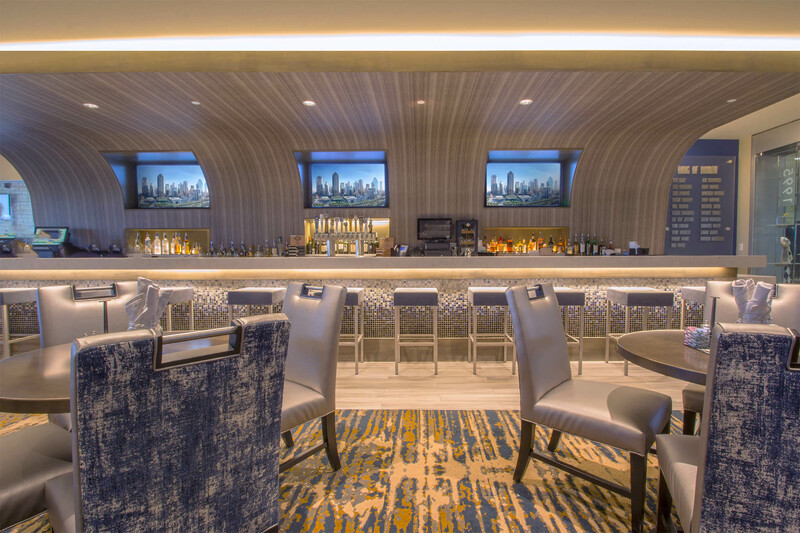 The standout feature here is the curved bar wall that bends its way over the heads of guests enjoying cocktails and burgers. 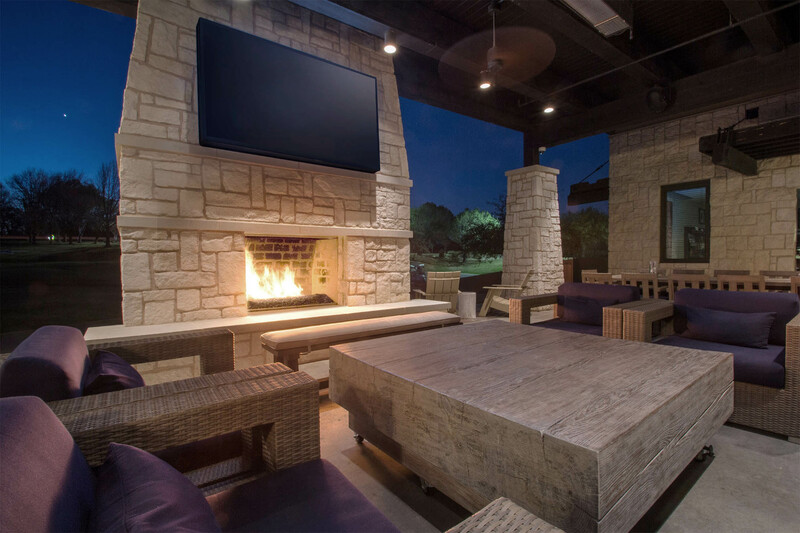 This environment is a real magnet, especially during game time. 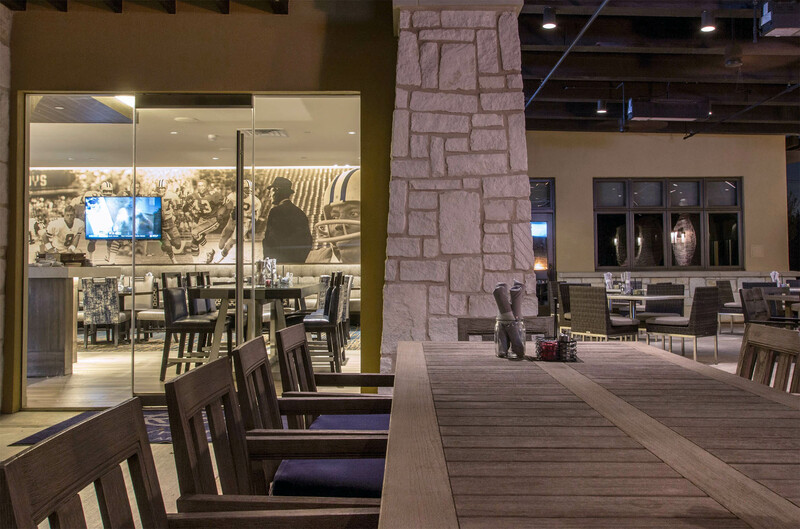 A new outdoor patio experience awaits on the other side of floor-to-ceiling windows. 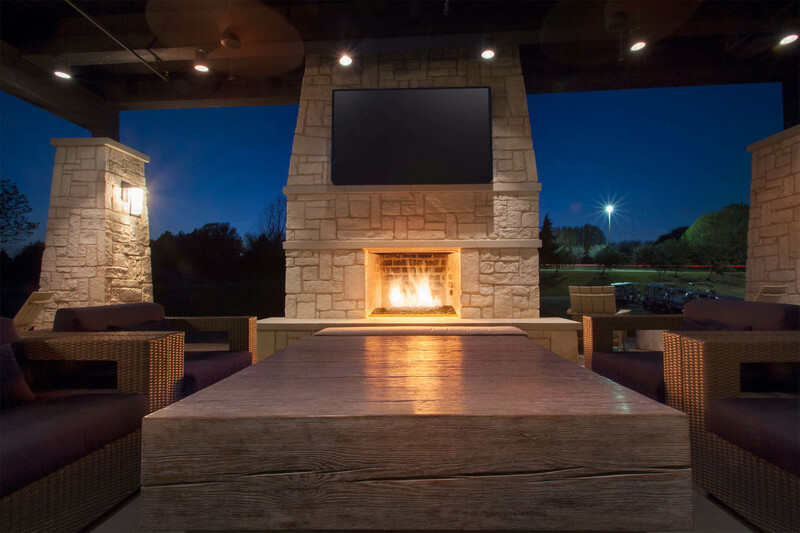 As night falls, this space really comes alive – especially with a roaring fire in the fireplace.